In 2009 Obamacare architect Jonathan Gruber admitted that Obamacare would not be affordable. 87% of Americans signing up for Obamacare receive financial assistance. That is up 7% from last year. 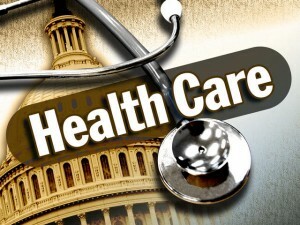 Some 87 percent of people who just signed up for Obamacare are getting financial assistance to lower their premiums, according to the Department of Health and Human Services. That is a jump from 80 percent during the last open enrollment period. The department did not say how much it was offering to new Obamcare enrollees or what the total bill to taxpayers would be. A report released by the Department of Health and Human Services today provides the first detailed analysis of enrollment in the Marketplaces for the first month of the 2015 open enrollment period. About 87 percent of people who selected health insurance plans through HealthCare.gov for coverage beginning Jan. 1, 2015 were determined eligible for financial assistance to lower their monthly premiums, compared to 80 percent of enrollees who selected plans over a similar period last year. In addition, more than 4 million people in both the state and federal Marketplaces signed up for the first time or reenrolled in coverage for 2015 during the first month of open enrollment. That includes more than 3.4 million people who selected a plan in the 37 states that are using the HealthCare.gov platform for 2015, and more than 600,000 consumers who selected plans in the 14 states that are operating their own Marketplace platform for 2015.